LOOKING FOR IN-DEPTH PERSONAL INSTRUCTION WITH THE ET CREW? Here at Essential Tennis we do things a little differently than most coaches. Our primary focus is online tennis instruction because we believe this is the #1 way to reach as many people as possible and help them with their tennis games. But there are a few times per year that we offer in-depth personal instruction as well. These “lessons” are very different from anything you have experienced before in your tennis career. We keep the coach to player ratio small and the environment very intimate. This is the best way for us to utilize video analysis for specific focus and for you to see the best results. If you are interested in more details about any of our in-depth personal instructions listed below, please email us. The desert is calling! 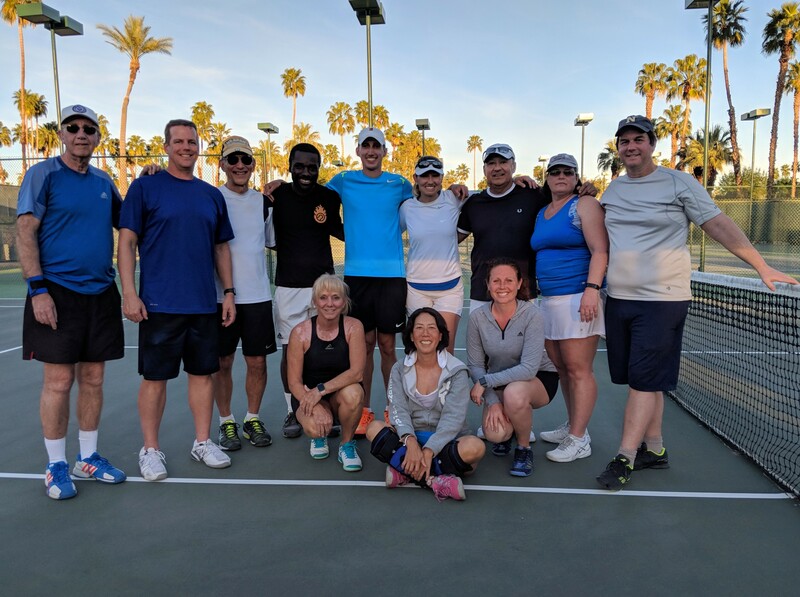 These clinics take place just down the road from the Indian Wells Tennis Garden, home of the BNP Paribas Open, so that you can improve your game all day and get inspired by the top pros in the world at night. We offer four game-changing clinics: 3.0-3.5 Singles, 3.0-3.5 Doubles, 4.0-4.5 Singles, and 4.0-4.5 Doubles. Forget Florida, California, or Texas – it’s Milwaukee that players are calling “the new mecca for tennis” and this experience is why. 4 master pros, 2 full days, 1 student. You won’t find anything like this immersive experience in all of tennis! There’s no better way to take your game to the next level. Transform your tennis game in one day of coaching. This is your chance to spend quality one-on-one time on the court with an experienced ET Coach. It’s a great way to jump start your tennis and see results fast. For this incredible tennis improvement trip, you’ll travel to the Big Island of Hawaii, where we’ll meet at the luxury resort, the Fairmont Orchid. 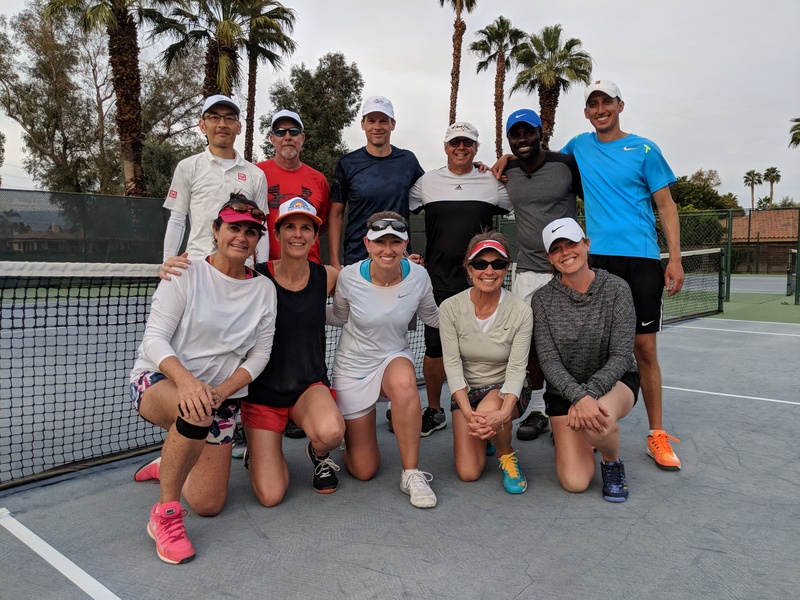 Every day is full of focused tennis instruction, ocean views and dreamy beaches, post-play massages, luaus, and dining at Four Diamond award-winning restaurants. For the tennis-obsessed, our annual trip to Costa Rica parallels no other. Highlights include: honing your tennis skills during the day where monkeys and parrots sit in the trees next to the courts; local, organic food prepared by our personal French chefs; nightly massages, and sunset cocktails on the beach….truly making it Tennis in Paradise. For Essential Tennis Academy members only, once a year we hold a one day clinic for FREE! 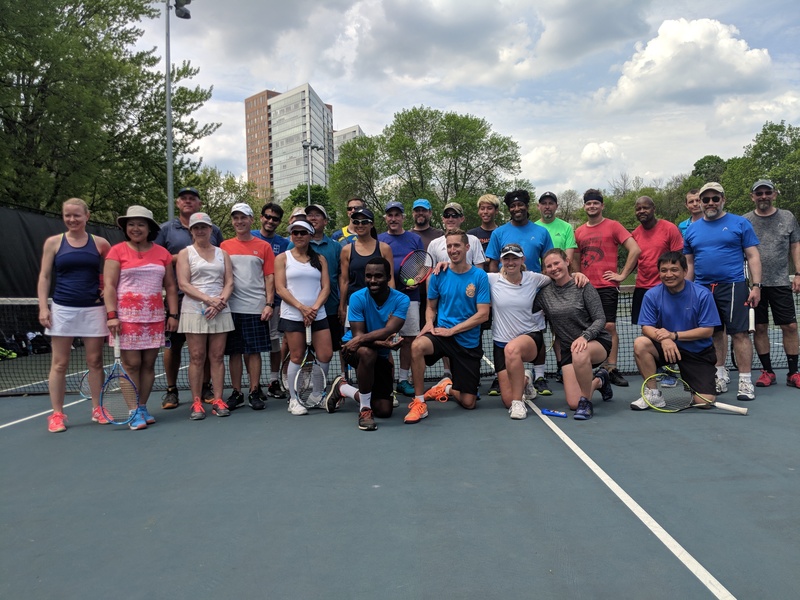 An amazing way for our students to connect in person, the last clinic drew 24 students from 13 states and covered a comprehensive tennis overview over the 12 hours we were on court. Go in-depth with your strategy with our Milwaukee Singles Clinic! Meet us in Milwaukee for 3 days of tennis, all focused on taking your singles strategy up a notch. Go in-depth with your strategy with our Milwaukee Doubles Clinic! Meet us in Milwaukee for 3 days of tennis, all focused on taking your doubles strategy up a notch.